I’ve probably only read about a half a dozen Harlequin-styled romance novels in my life–and half of those have been by Maggie K. Black. There’s a couple of reasons for that: first (by way of disclosure), Maggie is a friend and was, at one time, a co-worker with me at a Christian newspaper. And I’ve also been part of a group of friends she turns to for inspiration and input when she hits a tough spot in the writing process. Second, she’s a terrific writer and her books are worth the time spent reading them. 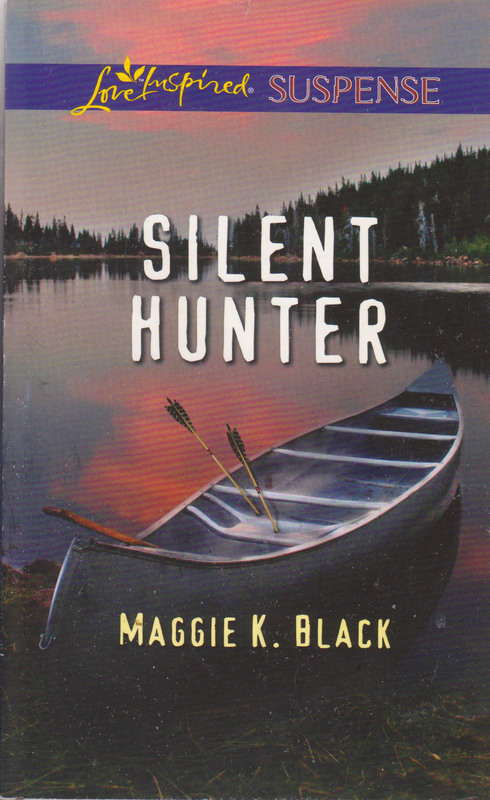 Silent Hunter is the third is a series of novels that take place in the wilds of northern Ontario (the other two are Killer Assignment and Deadline). Silent Hunter takes place at a camp on the verge of closing. A last ditch effort to impress possible investors takes camp director Nicky Trailer and the investors to a small island the camp owns. Disaster strikes in the form of a shadowy figure with a compound bow and Nicky is forced to rely on Luke Wolf, the man who betrayed her love and abandoned her years before. Maggie weaves a deft plot with plenty of red herrings to keep the reader in suspense until the mystery is finally solved. She also creates a romance with the right amount of tension and emotion that also keeps the reader guessing the outcome. Silent Hunter is a suspense novel in the truest sense of the word. And since it’s part of the Love Inspired imprint, Silent Hunter weaves the spiritual lives of Nicky and Luke seamlessly into the narrative. Questions of faith, God’s will, redemption and repentance are answered (and unanswered) as the two explore their relationship in the context of what they hope and trust God has in store for them. As I said earlier, I don’t read a lot in this genre. But Maggie K. Black has a way of telling a story that keeps me coming back.